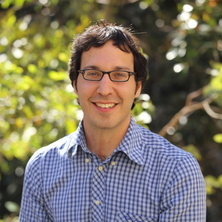 Dr Andrew Ventimiglia is a Research Fellow at The University of Queensland. Dr Ventimiglia joined the TC Beirne School of Law in 2016 as part of a research team working under the leadership of Professor Brad Sherman, ARC Laureate Fellow, on the ARC Laureate project 'Harnessing Intellectual Property to Build Food Security'. He was awarded his PhD in Cultural Studies from University of California – Davis in 2015, during which he conducted research into the intersection of religion and intellectual property law in the American spiritual marketplace. While at UC Davis, Dr Ventimiglia also worked at the Centre for Science and Innovation Studies and the Science and Technology Studies program. Dr Ventimiglia additionally holds a Master of Arts in Cinema Studies and a Certificate from the Culture and Media Program from New York University. His current research focuses on two interrelated subjects: 1) the growth of proprietary data infrastructures and technological innovations that structure the emerging field of precision agriculture; and, 2) the interplay between science, culture, and legal regulatory regimes like trademark and food safety law that collectively determine and define the ‘nature’ of food. “The Interface Is The Message,” Review Of Lori Emerson, Reading Writing Interfaces: From the Digital to the Bookbound. University of Minnesota Press. 2014. 222 pp.